Click to see instructions on how to use Quik Tank System. 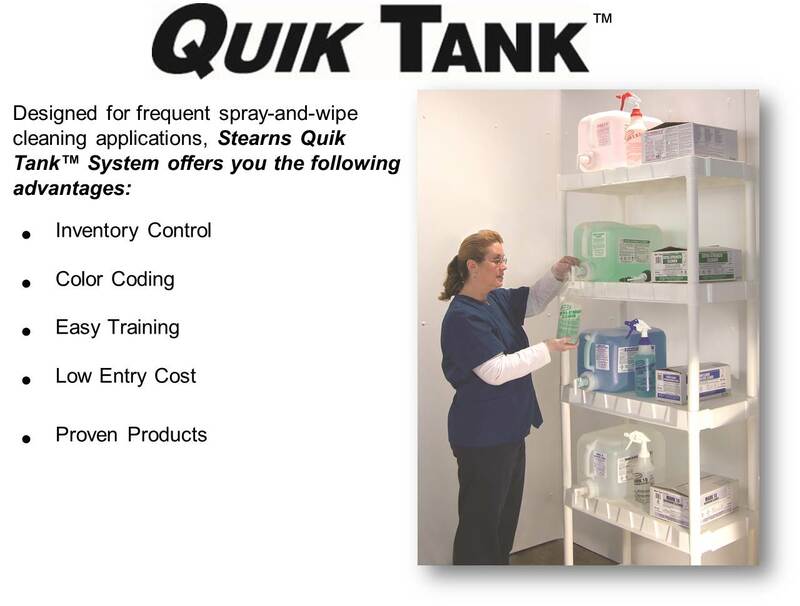 The Stearns Quik Tank system is the perfect inventory-control solution for frequent spray-and-wipe applications requiring high volumes of cleaning solution. 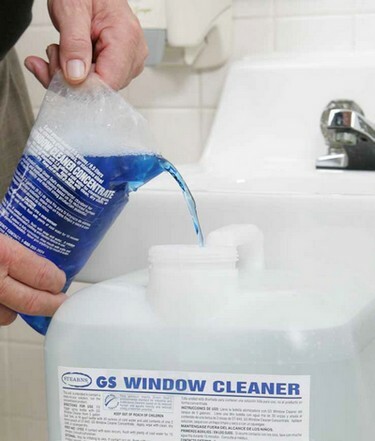 Simply fill the 5-gallon Quik Tank container with water and any of 10 popular Stearns premeasured cleaning concentrates – your staff can easily fill their spray bottles and begin cleaning. With low initial investment and simplified training, your facility has nothing to lose and everything to gain.